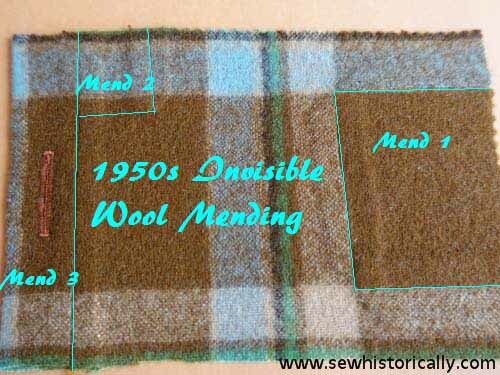 In 1950-2 my grandmother, a dressmaker, made three invisible wool mending samplers. 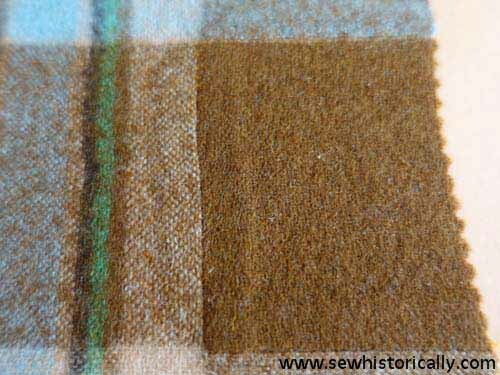 The first sampler is thin plaid wool fabric with three different mends. 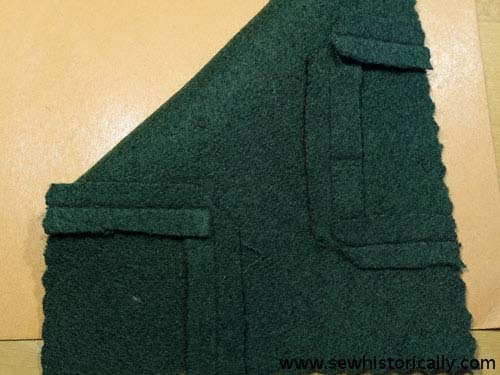 The first patch is sewn between the stripes, so the seams are hardly noticeable. 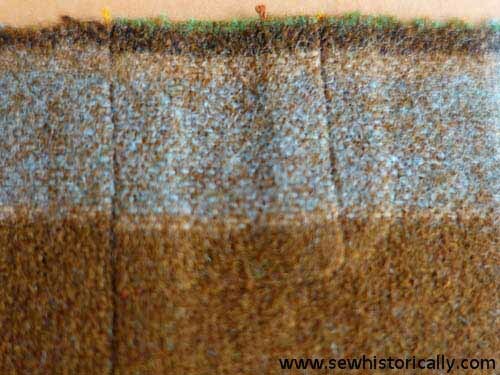 The second patch goes across the stripes. 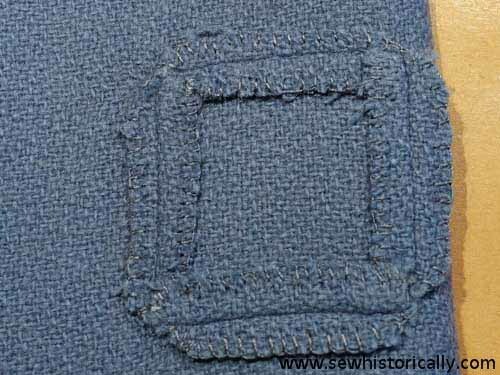 The third patch is the placket of the sampler. 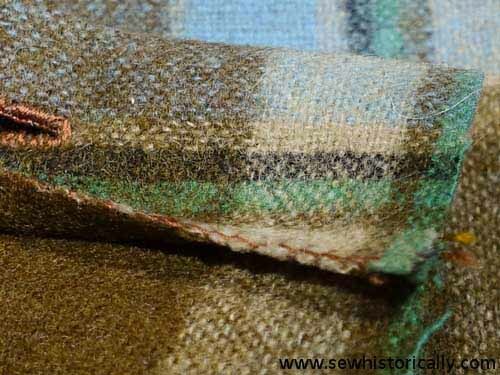 Because the wool fabric frays, all the raw edges are finished with tiny buttonhole stitches by hand. 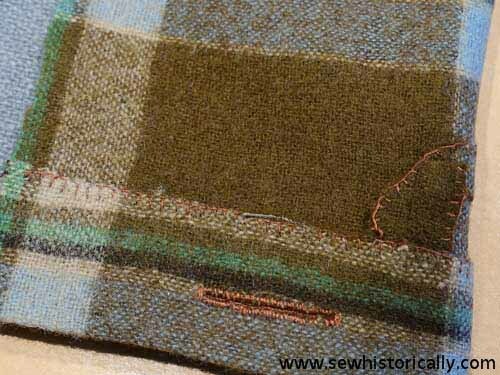 To make the placket, a new piece of fabric is added. 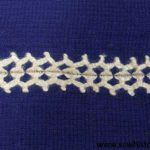 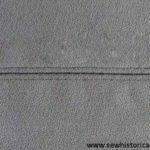 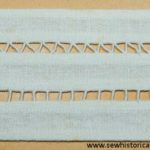 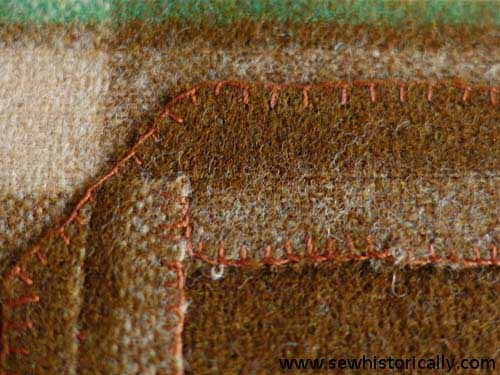 On the right side, it’s joined with a seam; on the wrong side, the fabric pieces are joined with hand-sewn buttonhole stitches. 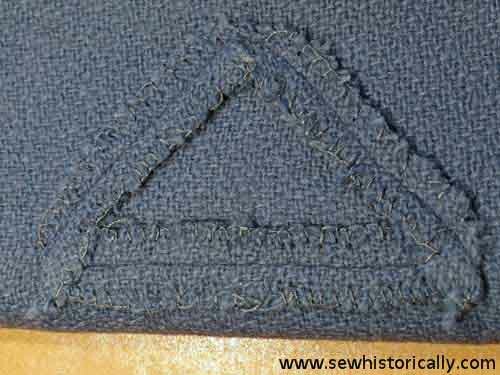 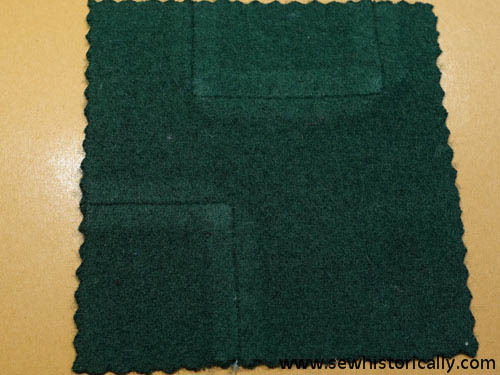 Sampler 2 is also a thin, but solid colored wool fabric with a triangle and a square patch. 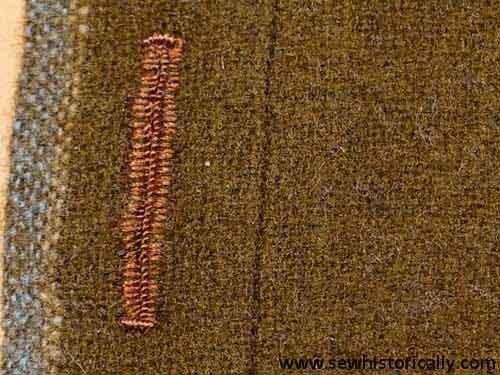 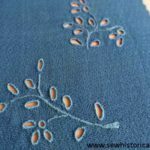 The raw edges are also finished with hand-worked buttonhole stitches. 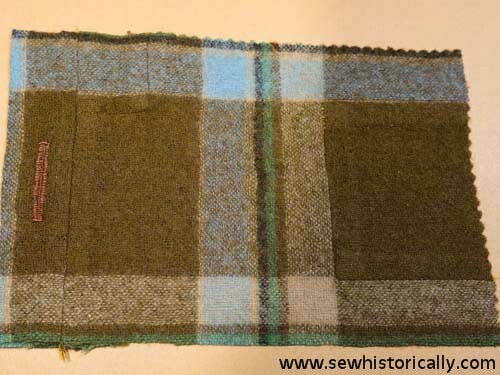 The third sampler is thick boiled wool fabric with two patches. 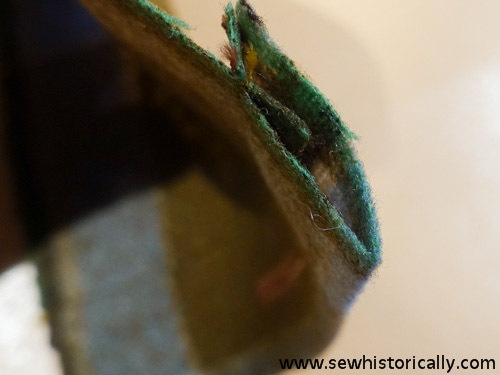 Because the fabric doesn’t fray, the edges are left unfinished. 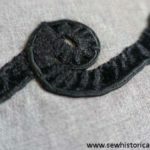 Here’s part 7 and part 9 of my Vintage Embroidery And Sewing Techniques Series. 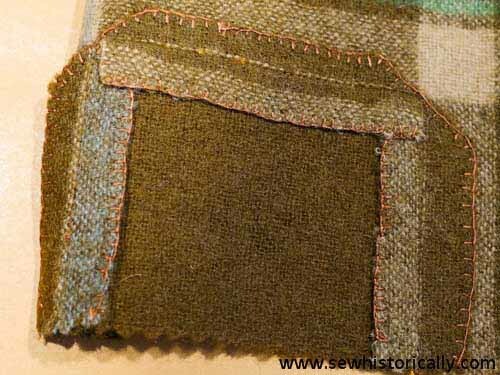 What a treasure to have this sampler that your grandmother made. 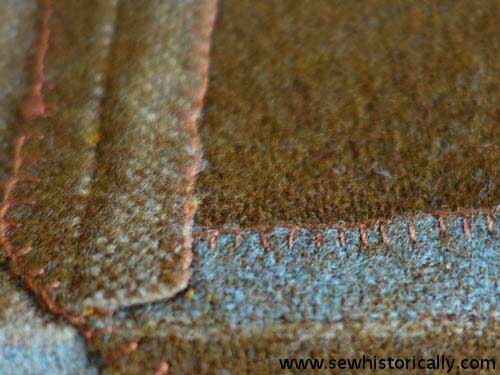 In the first sample you’d have to look really close to even know that it had been patched. 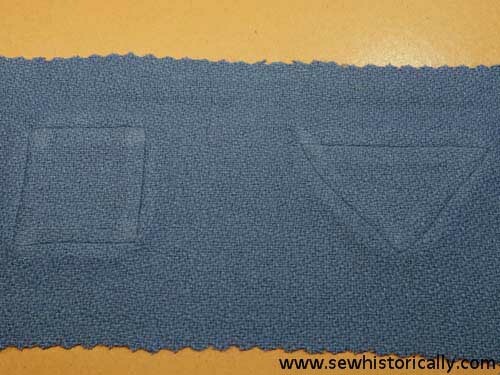 And in the other ones, they are so neatly done that one could mistake them for design elements. 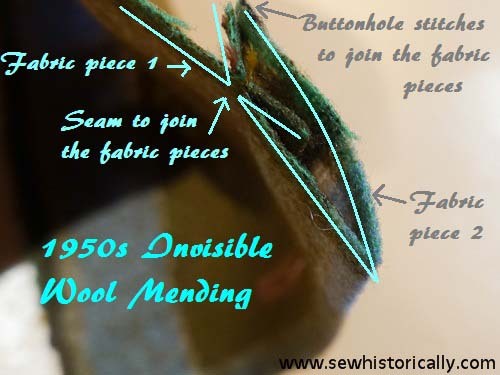 So glad you linked this up to last week’s Stitchery Link Party.